David Mugrabi and his wife, Libbie, are one of New York’s wealthiest couples. A week before Christmas and they are engaged in a divorce that has been labeled the state’s nastiest. “A lot of staff, nannies, cleaning people, and chefs. Two homes with a lot of drivers and a family airplane,” the friend told Fox News. For his part, David transferred ownership of their $72 million Upper East Side town house to a private company fund which his older brother, Alberto, controlled. According to Libbie, David physically assaulted her when he discovered she was trying to take a half-million dollar sculpture out of their home. During a July Fourth party, Libbie went to bed while David and six houseguest went skinny dipping in the pool. Rumors of cheating plagued the couple since they married. At one point David faced allegations of having a 26-year-old mistress. The fear of nasty divorces make up one of the many reasons millennials give for signing prenups. There are other possible reasons more millennials are signing. Prenups are losing their stigma and are growing in popularity among Americans — particularly millennials. Two main issues may be driving the uptick: Americans are waiting longer to get married, thereby gathering more assets and debt and many millennials are children of divorce — making them inclined to protect their interests. The stigma around prenups has made it a dirty word among couples. The number of millennials wanting prenuptial agreements seems to be growing. 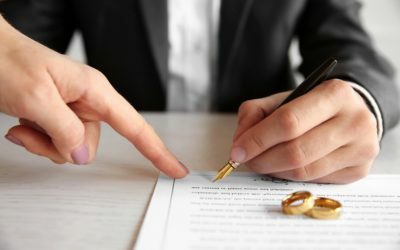 According to the American Academy of Matrimonial Lawyers, over half of the attorneys surveyed saw an increase in prenuptials among millennials and 62 percent saw a precipitous rise from 2013 through 2016. Another driver behind the surges is a fear of divorce. Since 2005, the median age for marriage jumped from 27 to 29.9 according to the U.S. Census. Millennials are dating longer before heading to the wedding chapel. The typical couple waits almost five years to marry, according to Business Insider. The more time millennials spend before marrying, the more time is available to gather assets which may need guarding one day. Whatever you do, don’t present a prenup right before the wedding.